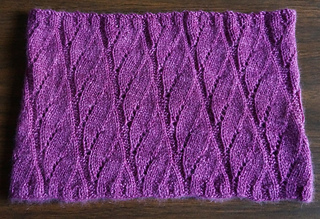 This pattern is only available as part of the Street Scenes “ebook” - 3 patterns in one! 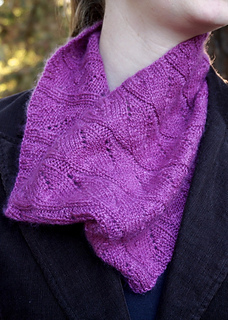 Delicate lacy vines resemble cables on this cowl. 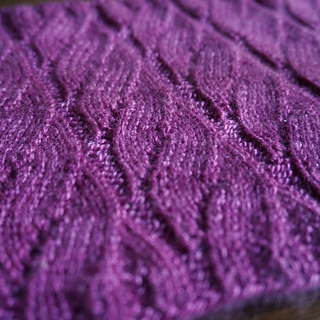 The stitch pattern makes the fabric twist as you knit it. These cowls are soft and drapey and sit loosely around the neck, falling into folds that still keep a lot of warmth in, thanks to the insulating powers of cashmere. 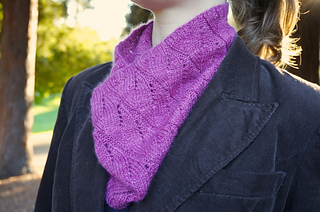 If you’d prefer a closer-fitting cowl, instructions are included for how to modify this pattern.